Welcome to Season 2 of The Space Shot! The podcast is moving to a new format, with a new release schedule and more long-form content. I am super excited to take this new direction and can't wait to share new stories with all of you. In Season 2 we will explore astronomy, space law, space science, and more. Plus there will be interviews with authors, industry figures, educators, and others in the space community. Subscribe, check out the back catalog (Season 1 has 365 episodes) and get bite-sized pieces of space history, pop culture, science, and more. 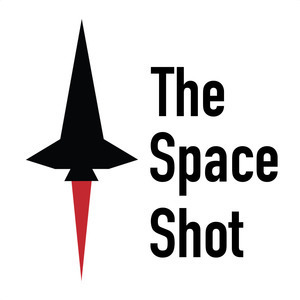 Whether you're into history, science, pop-culture, or current events, there's something for you here at The Space Shot. This episode is coming out a bit later than I had hoped. I've been stretched a bit thin between work and home, so apologies for this being out a week later than planned. This week we head to the asteroid Bennu with Dan Scheeres, one of the Co-Investigators on NASA's OSIRIS-REx mission. Episode 384: Laura Forczyk and the "Rise of the Space Age Millennials"
Check out my conversation with Laura Forczyk, a space consultant, scientist, author, and lover of all things space. This month we catch up with Jim Remar and Mimi Meredith from the Cosmosphere to chat about EarthRising. They shared some funny stories about planning and running the EarthRising event, so be sure to listen in so you can find out what's behind this month's episode title. Episode 382: Lois Huneycutt- The Space Hipsters Book Prize! Welcome to 2019! For today's episode, I spoke with Lois Huneycutt about the Space Hipsters Book Prize. Download and subscribe today! 2018 has been one heck of a year! Let's dive into a quick review of 2018. Here's to 2019 and more podcast episodes. Thank you to everyone that listens, I hope you have a happy and prosperous New Year! Enjoy this encore presentation of the latest Cosmosphere Podcast episode. This month we head to Hutchinson with some Space Hipsters for the Earthrising Gala. We'll also hear from NASA Administrator Jim Bridenstine, Cosmosphere CEO Jim Remar, author Robert Kurson, and the astronauts and flight controllers from Apollo 7 and beyond. This is part two of a two-part episode, so get listening and enjoy! This is part one of a two-part episode, so get listening and enjoy! Let's catch up on some Apollo 8 and 17 history with Jim Remar. Episodes 379 and 380 will feature audio from the Earthrising event that the Cosmosphere hosted earlier this month. Be sure to subscribe so you don't miss any episodes! I chat with Jack at the Cosmosphere about the MOCR consoles, plus we hear from Shannon about some incredible Apollo related artifacts housed at the Cosmosphere. Today's episode has two for one :) The first part is episode 373 of The Space Shot and part 2 is the latest Cosmosphere Podcast. Enjoy!